March 18, 2019 by Laurie Leave a Comment This post may contain affiliate links, which means if you click on a link and purchase something, I may earn a small commission (at no additional cost to you.) See my disclosure policy HERE. Oh my stars, how cute is this??? Team member Jamie bought this one recently and it's now her new FAVORITE top!!! 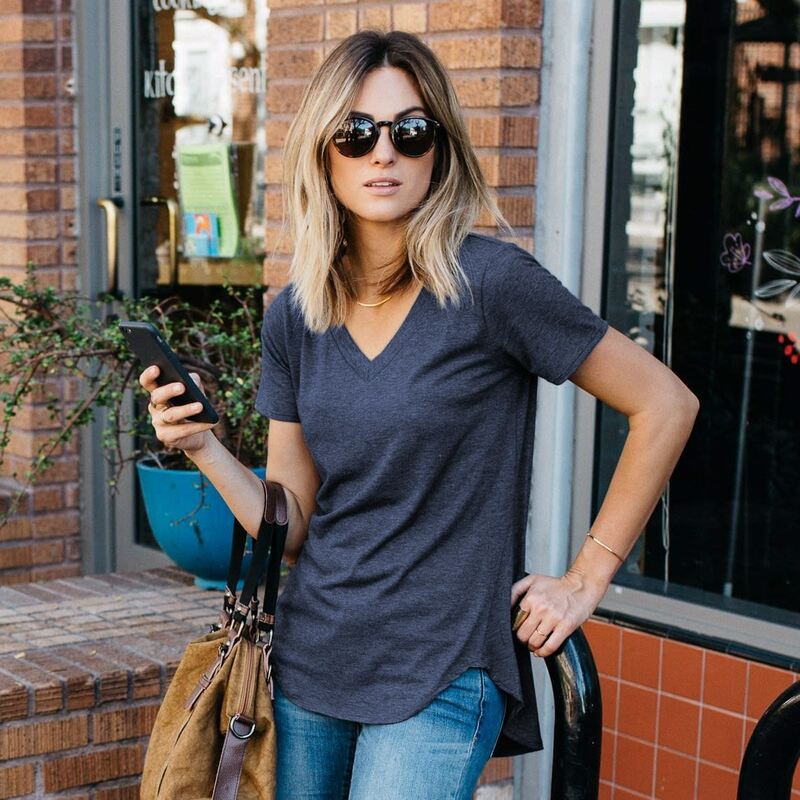 Jane has these loose cut short sleeve heather tops on sale today for $14.99 (regularly $29.99)! These get AWESOME reviews and are a perfect staple for your wardrobe!! The Loose Cut Casual Short Sleeve Top from Amaryllis features a super-soft fabric for effortless layering and styling, now in a gorgeous heather texture. 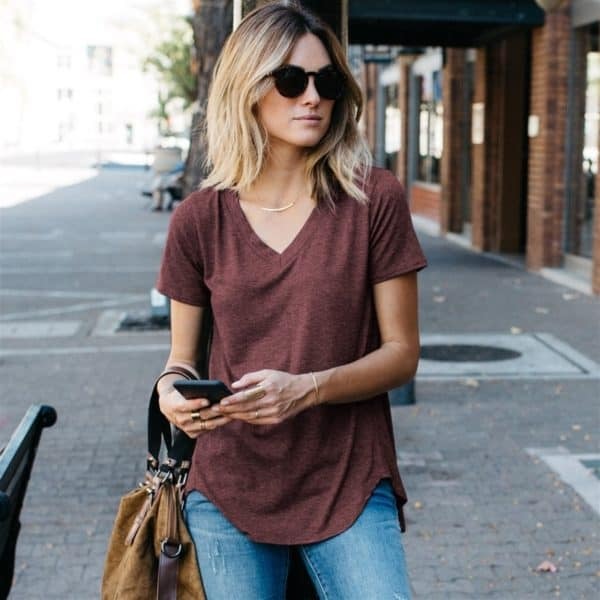 Throw it on by itself with your shorts, jeans, or leggings for a casual look or wear it with skinnies, tuck in the front and throw on a jacket for an effortless, chic office look. Shipping is $3.99 for the first item and $1.99 for each additional item. These come in sizes S-3X and 6 color choices! You can snag one or two HERE!